If you wanted another look at the "UFO" I posted about a couple of months ago, here you go. 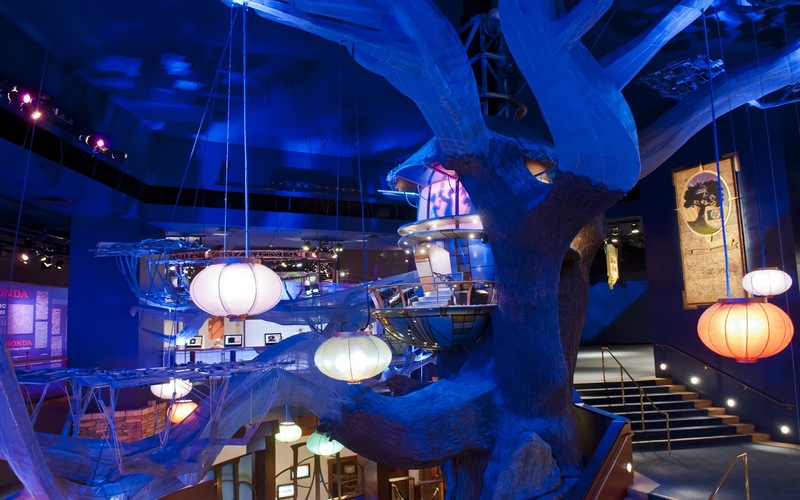 It's actually a sort of treehouse of the future, and it can be found inside Innoventions, that tribute to the technological advances of tomorrow that, like much of the history of Tomorrowland, seems to always wind up quickly outdated. But I don't go to Innoventions for the update in the latest fans. I go there because it's actualy got some neat angles to photograph. This being one of them. Oh, and air conditioning. I go to Innoventions for air conditioning on a hot day. A view from inside Innoventions.